Which book blogger would you most like to meet in real life? Well, there's a tie.I would like to meet two book bloggers, Alex and Parajunkee. Alex blogs at A Girl, Books and Other Things. We follow back each other. Although I read so many blogs by other people, but her reviews always tempt me add the book to my to-read or wishlist shelve. I would like to meet Alex in real life in know about her. Well, I guess everybody knows about Parajunkee. 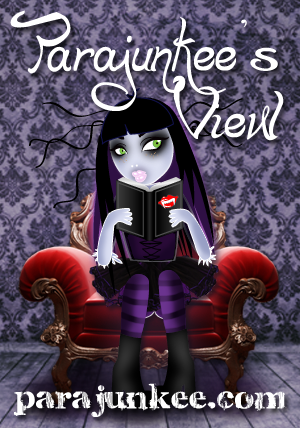 She blogs at Parajunkee's View and normally reviews paranormal fiction. Although I rarely read paranormal but as a blogger she's always a big help. I get to have lunch with a small group of book bloggers on a semi-regular basis. If you're in the SF Bay Area, maybe we've met! Happy blog hop. Hi I'm an old follower hopping through to wish you a happy Friday!This was a hard question, there are so many book bloggers that I would to meet in "real" life! It's hard to choose just one, have a great weekend. I’ve met so many great people via the Book Book Blogger Con at Book Expo America I honestly can’t come up with a single name of a book blogger I want to meet but haven’t yet! I’m heading back to BBC @ BEA. I hope to see you there! I read a lot of Teen and Juvi books, too. Looking forward to seeing what you've read! Happy hop!